Siamese Cat Breeder is a website about Siamese cats and kittens. We like to think we are the specialist website for Siamese cats. We advertise Siamese kittens and publish articles about cat breeding and cats. 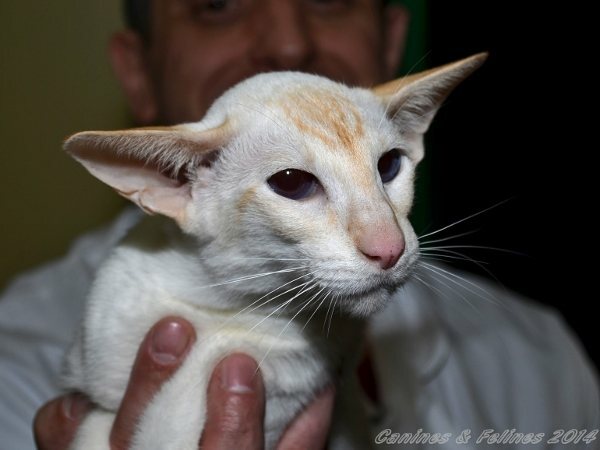 We also report on all the cat show results which includes Siamese cat pictures and videos. If you are looking for information about Siamese cats and kittens then you have come to the right place. This website includes Siamese breed profiles and photographs of both Siamese cats and Siamese kittens. We operate the largest UK directory for Siamese kittens and cat breeders. We also have an extensive library of articles helpful to anyone who owns or breeds cats. Siamese Cat Breeder is not just an online directory for Siamese cats and kittens, it is much more! Our team of writers and reporters are all Siamese cat breeders, judges and cat lovers. They have a wealth of experience that they are happy to share. We are the number one Siamese cat website. We cater to cat lovers, breeders and exhibitors. Whatever part of the ‘cat fancy’ you are from we are sure that you will become a regular visitor to Siamese Cat Breeder. We are happy to help you find a Siamese kitten. We have up to date adverts on Siamese kittens for sale. For our cat breeders we have a free directory service and we also have a stud cat list. Siamese Cat Breeder will also help you with the following. Looking for Siamese kittens for sale? Searching for a Siamese cat breeder? Looking for a stud cat? Want to read articles about Siamese cats? Need information about breeding Siamese cats? View the latest cat show results and Siamese cat pictures? In addition to the directory and show results services we also have lots of articles all about Siamese cats and kittens. We believe that Siamese cat breeders, exhibitors and pet owners will all find them useful. We include a wealth of information all about Siamese cats and kittens. You can find Siamese breed galleries that have pictures of all the different colours of Siamese cats. We have articles on the history and the origins of Siamese cats. We also include the Siamese breed descriptions and breed standards. Some of the topics written about are aimed more towards cat lovers in general rather than just cat breeders. The cat advice articles include subjects such as cat health, cat nutrition and cats toys plus much more. Of course these are equally relevant to all different breeds of cats and not just Siamese. We also like to write about areas of interest to Siamese cat breeders. These include feline reproduction, Siamese cat colour genetics and general advice on breeding Siamese cats. 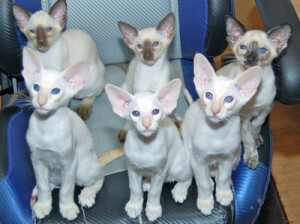 We also include Siamese colour charts, breed numbers and also the Siamese standard of points. These are just a few examples of the type of cat breeder related articles we include.